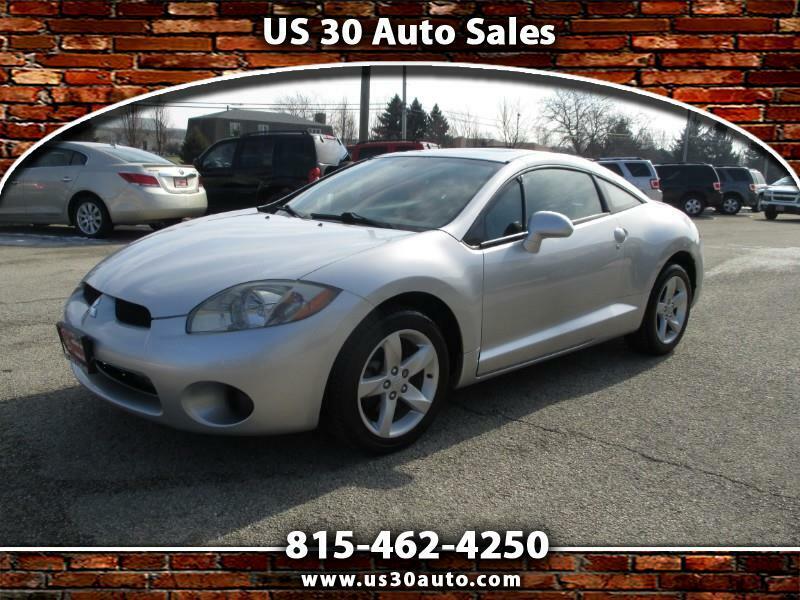 2007 Mitsubishi Eclipse with only 111,000 1 owner miles that has been well maintained and cared for since new and always garage kept on this EXTRA CLEAN sport coupe that is ready for work or play. 2.4 Liter 4 Cylinder engine, Automatic Transmission, power windows, door locks, mirrors, keyless entry system, tilt wheel, cruise control, delay wipers, Power sunroof and so much more. Call today to schedule a test drive or apply for financing.